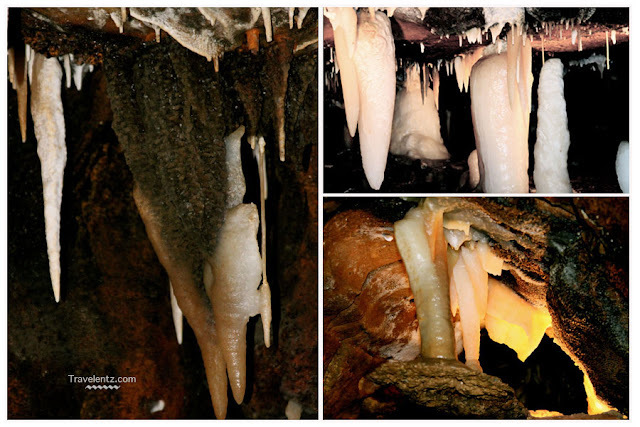 I discovered the beauty of Ohio Caverns last weekend.Ohio caverns was discovered in 1897 by 17 year old, he found a hole in the woods and decided to discover what's really inside the sinkhole. Ninety percent of stalactites and stalagmites still growing! This cave has a river view with water from melted glaciers. It was a beautiful day, and there is gift shop where you enter and one of the door inside the gift shop will led you underground of Ohio caverns. Ohio Caverns during our visits is not stroller friendly and had many steps more than 62 if my memory is still good. We had to carry our 2 year old most of the time. There are some part that hard to walk especially if you have 2 year old. You can't touch anything, you're allowed to take photos as many as want but no video. 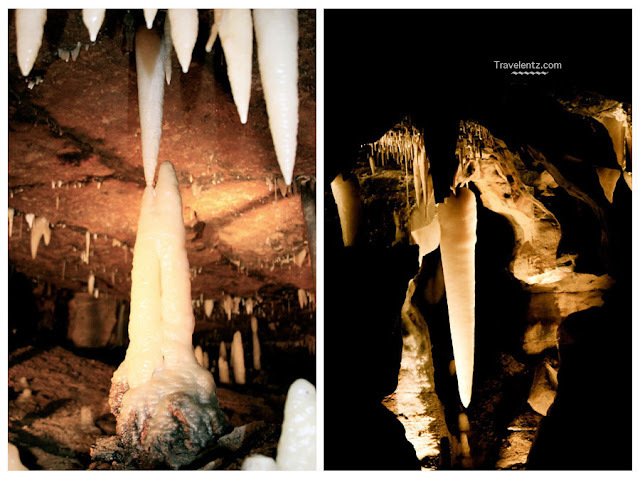 Inside the Ohio Caverns is 54 degrees all year round, no matter what is the temperature outside the caverns. It has a lot of formation you can see inside the caverns.If you amazed in Diamond caverns-Ohio Caverns is unique and only this cavern so far I saw that has two formation in one. Stalagmite and Stalactite. 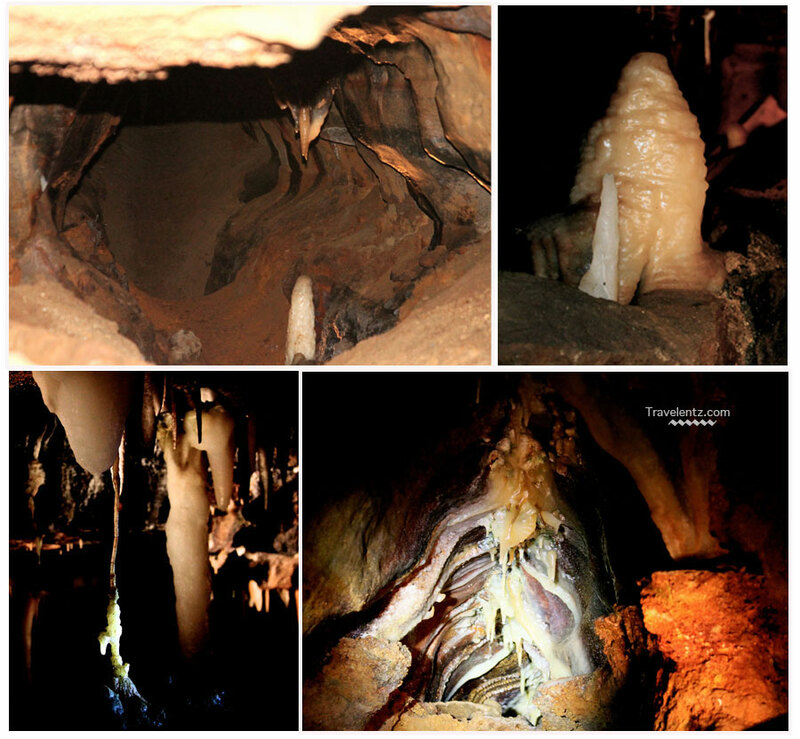 Its exquisite crystal-white stalactite and stalagmite formations are nowhere to be found in a wider variety of artistic circles. This place is amazing and worth your time to visit. I was thankful that I saw the Ohio caverns formation. It was another best experienced of travelentz.com that she's happy to share with you.